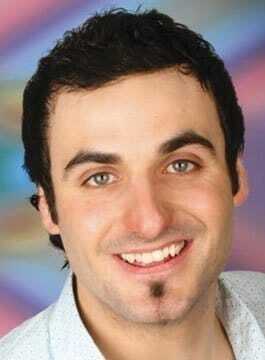 Patrick Monahan has had a meteoric rise up the stand-up comedy ladder. The Irish-Iranian-Geordie comedian has gone from open spot to headline act in an incredibly short length of time and is now a regular MC and headline stand up performer at the UK’s premier comedy clubs including the prestigious Jongleurs circuit and the Comedy Store. In addition, Patrick Monahan is now hugely in demand in front of camera as well as a TV warm up comedian due to his lovability and clean funny material. Patrick Monahan has been regular at the Edinburgh Festival since 2004, his shows have included: Game On, The Road Map To Peace, Do The Right Thing, Feel The Love and Time Bandit. Mervyn Bragg’s Travels In Written Britain – ITV. Patrick Monahan is fast being known as having the ability to really work a room and work with an audience whilst (rare today) ‘keeping it clean’. He is in great demand as a TV studio audience warm up and has been the resident warm up for Friday Night with Jonathan Ross, The Paul O’Grady Show and Golden Balls. In the past he was resident warm up on Strictly Come Dancing, Dance X, Carol Vorderman’s Brain Game, Davina (BBC) and The IT Crowd. He has also performed studio warm up for The Lenny Henry TV Show, BBC’s Sports Relief, The Sunday Night Project, Omid, The Kumars and The Catherine Tate Show as well as various TV pilots. A regular performer and host on the corporate scene, clients have included: Fusion Insurance, Nuts Awards, Halifax, SEB, KPMG, Schering-Plough, Capital One, JJB Sports, 3G Mobile and Volvo.